The next generation of moisture surge products. These new kids on the block use some really clever high percentage actives for anti -ageing, skin brightening and most importantly, dewy fresh skin. It’s all about clearer, brighter, beautiful skin with our professional treatment-based products. We are famous for our Microdermabrasion technology so it made sense to create super skin polishes so you can enjoy salon fresh skin at home. Don't bake it, fake it! Our award-winning tan drops were voted best tanning product at the Beauty Bible Awards. Anything from an extra shot of hydration, pollution defence, intense firming, antiredness control or an improved skin radiance shot. Famous for our high -tech salon treatment systems, we now bring you sonic powered beauty applicators that you can use athome to firm, lift and super cleanse. I promise you will become addicted to the immediate results. Since 1995, Sharon has won numerous awards and was honoured with an MBE from HRH Queen Elizabeth in recognition of her outstanding contribution to British skincare innovation. Skincare has been a passion for Liverpool beauty entrepreneur, Sharon Hilditch MBE from an early age. 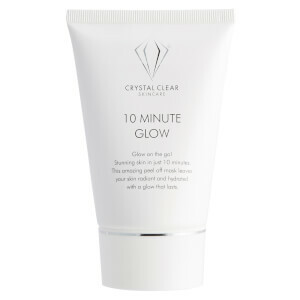 Award-winning Crystal Clear Skincare was born from her desire to create a range of effective treatments and skin rejuvenating products that truly make a difference. 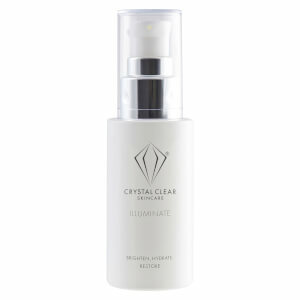 Today, Crystal Clear is a leading provider of innovative beauty technology and award-winning skin care products. It is available in over 3000 UK salons, exports internationally as well as having a massive celebrity following, including global stars such as Kate Moss, Gwyneth Paltrow and Madonna.